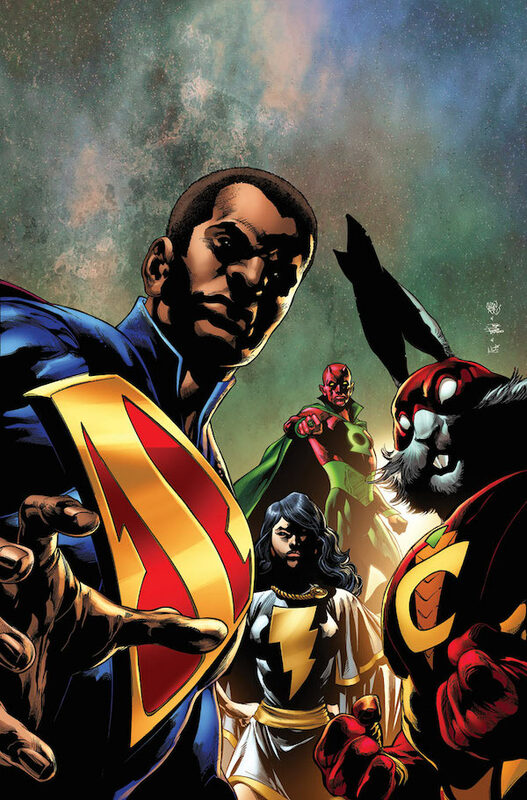 Grant Morrison has been on a stunning creative tear with The Multiversity, not only hopping between universes, but telling unique, standalone stories meditating on everything from celebrity culture to the return of the Freedom Fighters. What’s in store for the blowout finale? Well, we’ve got an exclusive showing you precisely that, with the full solicits and the cover for each of the final two issues. Take note, by the way, of the cover to The Multiversity #1. If you’d like to stay on top of these one shots, Morrison’s take on the Marvel Family will be arriving next week.